As a leading North American Equipment Manufacturer, 2018 marks 20 years of excellence for Campo Equipment. Integral to our continual success has been the consistent growth and success of our heaters which rapidly transformed Ecoblaze into an internationally recognized brand.We engineer our heaters with a commitment to efficiency, safety, and durability, and we take into consideration all the short comings of portable heaters currently available on the market. Our Indirect Fired Heaters are built to handle various heating and drying applications and are available in 3 fuel options: Natural Gas, Propane, and Diesel. Campo Electric Heaters are used for heating, drying, and ventilation. Custom Configurations and sizes available built to customer specifications. Heavy Duty Industrial Grade Powder Coated Steel Frames c/w lockable swivel castors, forklift pockets on all sides and lifting eye hooks. 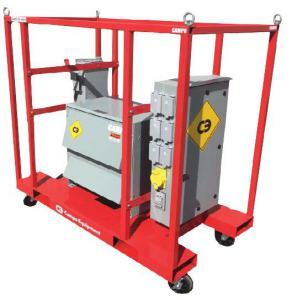 Other options include: Cam Locks, Welding Receptacles, Working Lights, Remote Pony Panels etc. 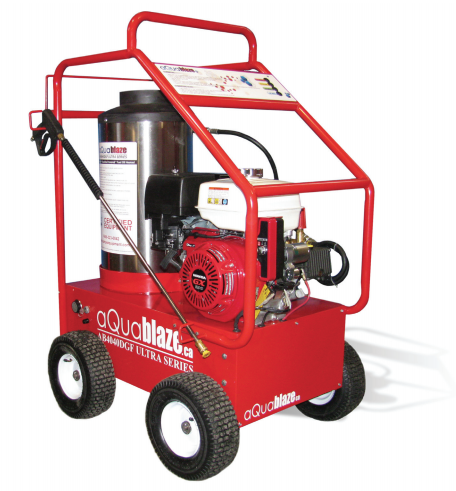 We are one of the leading manufacturers of industrial hot and cold water pressure washers and trailer mounted mobile cleaning systems. As a dealer for AR North America Pump, Aquablaze carries an extensive line of multi-brand parts and accessories in house.